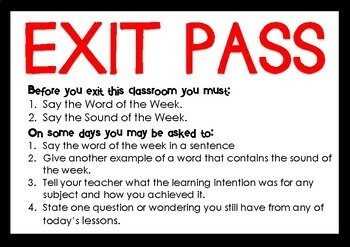 Exit Pass •• Before students leave for recess, lunch, or the end of the day, they have to read the word or sound of the week. On some days, they have to answer a question or a respond to what they’ve learned. This technique helps me assess if students have caught what I've taught and plan for the next lesson. 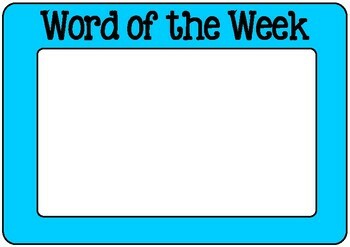 This also allows opportunities for students to practice reading new vocab and remember spelling sounds. 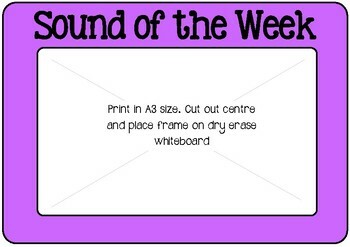 Word and Sound of the week frames are laminated and stuck onto a whiteboard sheet (with centre cut out). This makes it easy to change the foci weekly.